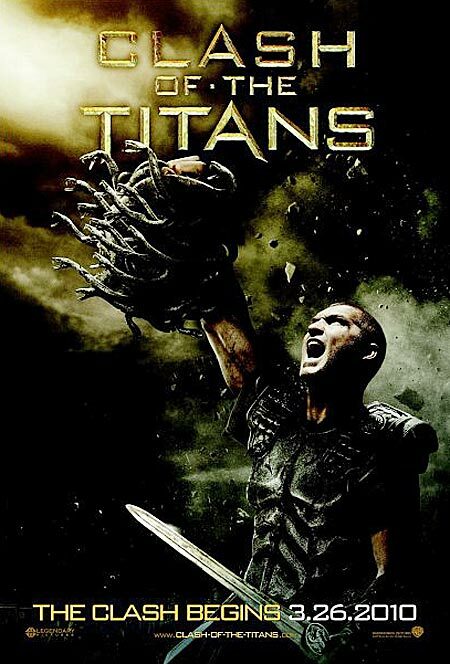 In Clash Of The Titans," The Ultimate Struggle For Power Pits Men Against Kings And Kings Against Gods. But The War Between The Gods Themselves Could Destroy The World. Born Of A God But Raised As A Man, Perseus (Sam Worthington) Is Helpless To Save His Family From Hades (Ralph Fiennes), Vengeful God Of The Underworld. With Nothing Left To Lose, Perseus Volunteers To Lead A Dangerous Mission To Defeat Hades Before He Can Seize Power From Zeus (Liam Neeson) And Unleash Hell On Earth. Leading A Daring Band Of Warriors, Perseus Sets Off On A Perilous Journey Deep Into Forbidden Worlds. Battling Unholy Demons And Fearsome Beasts, He Will Only Survive If He Can Accept His Power As A God, Defy His Fate And Create His Own Destiny.